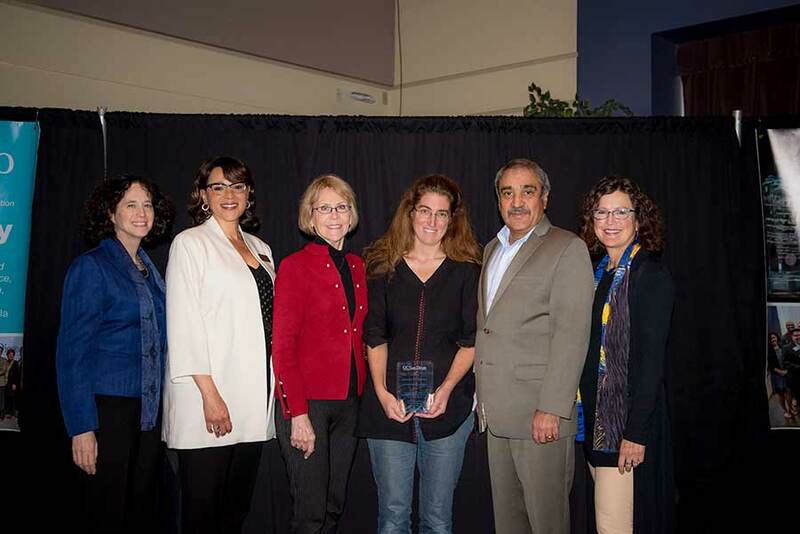 Professor Jennifer MacKinnon, third from right, was acknowledged for her work in cultivating belonging among early career scientists at Scripps Institution of Oceanography. Fourteen individuals, departments and organizational units were recognized at the annual Inclusive Excellence Awards ceremony held March 1. Each were acknowledged for their standout efforts to celebrate cultural differences, promote fairness across campus and help ensure that UC San Diego is a better place to work and learn. Kate Edra, sixth from the right, was honored for her dedication to address food security across the county and promote health and wellness at local elementary schools. 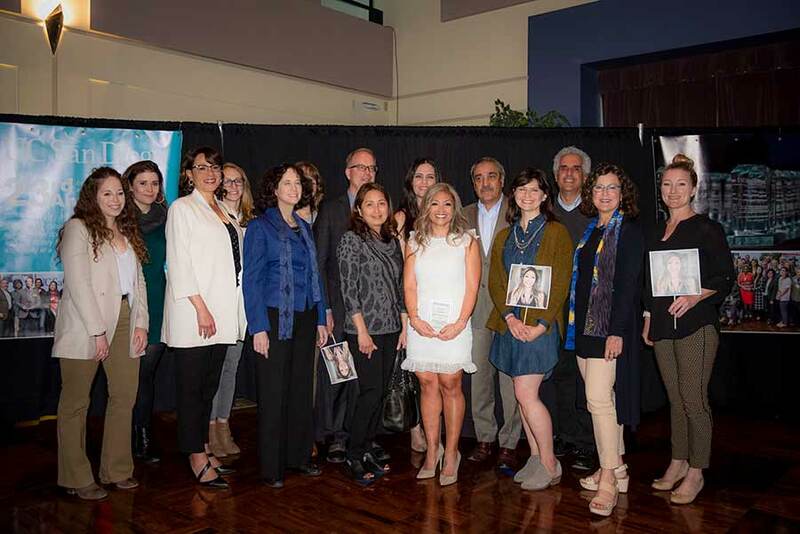 From serving as a compassionate listener to improving the health of underserved community members and actively promoting opportunity for women in STEM, each were recognized for their outstanding work. “It makes me deeply happy to see the scientific community I’m part of becoming steadily more diverse, more vibrant and more inclusive—gradually more reflective of the world at large over the last few decades,” said Jennifer MacKinnon, a professor at Scripps Institution of Oceanography and one of this year’s honorees.